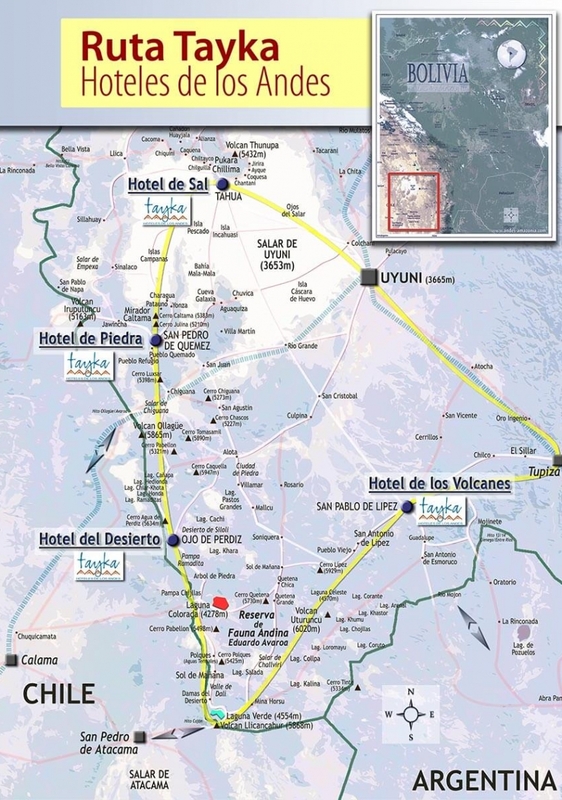 The Tayka hotels are a local community-owned hotel network located in the Uyuni region in Bolivia, close to one of earth’s most incredible places: the fascinating Salar de Uyuni. These hotels provide easy access to Uyuni’s most spectacular sights. 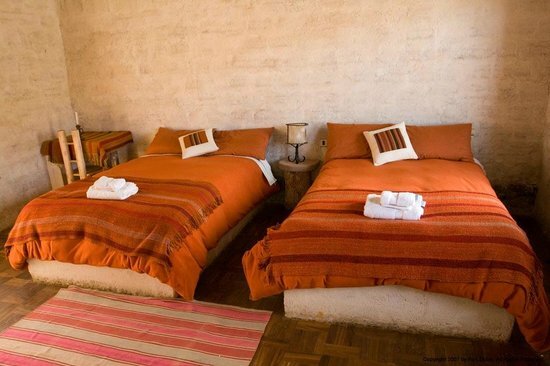 The Tayka hotels are some of the best hotels in the Uyuni region. Altough they are not luxury, each one of them provide rooms and common areas with a combination of exquisite simplicity and magnificent views, offering the visitor a cozy and comfortable stay. The rooms are basic but cozy and comfortable. 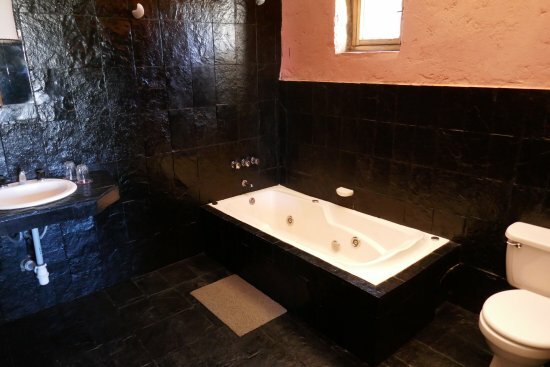 All rooms have private bathrooms with hot water, heating (although not 24 hours a day) and cleaning service. 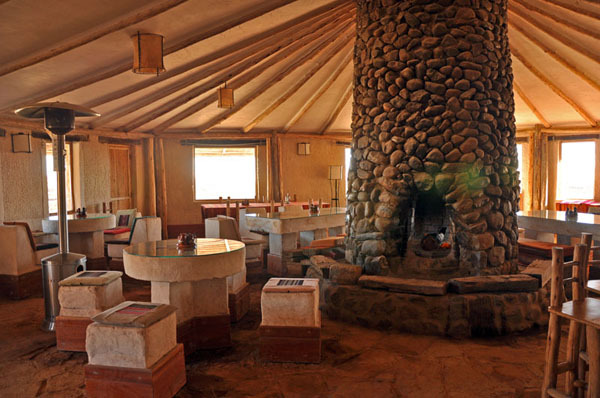 The Hotel Tayka de Sal (Spanish for Tayka Salt Hotel) is almost entirely made of pure salt from the Uyuni Salt Flats. 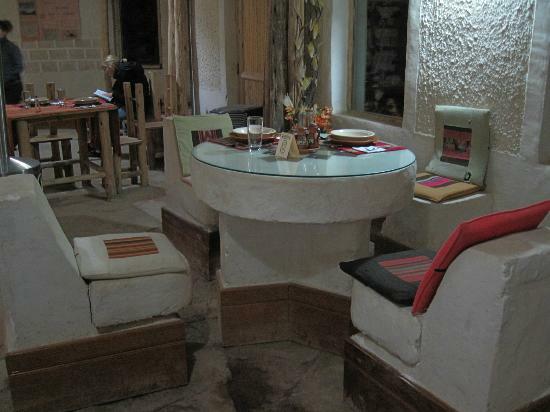 The walls, the tables, the seating stools, the frame of each bed – is made of huge salt bricks. 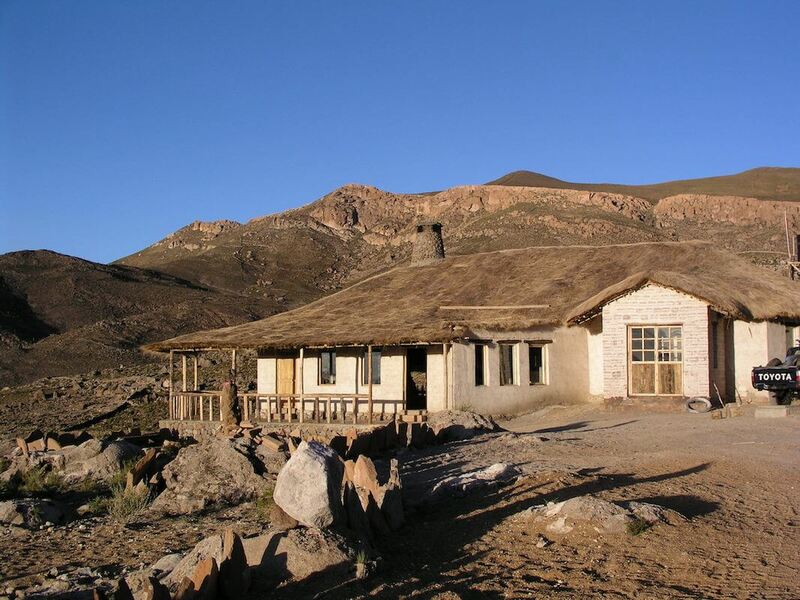 The hotel’s roofs are made using the “paja brava”, a thick Andean straw endemic to the desert highlands. Exposed bricks walls are made out of blocks of salt extracted from the same white desert, all combined together with the warmth of precious Bolivian “Tajibo” wood parket floors, providing a touch of elegance. 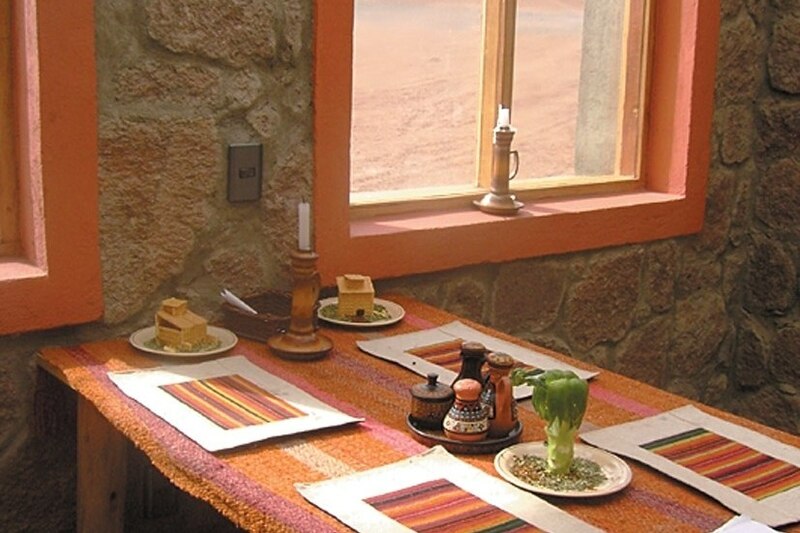 The Tayka salt hotel (Hotel Tayka de Sal) is located on the North shore of the Uyuni Salt flat near the village of Tahua, on the foothills of Thunupa volcano, at 3700 meters above sea level and at 117 Km from Uyuni. 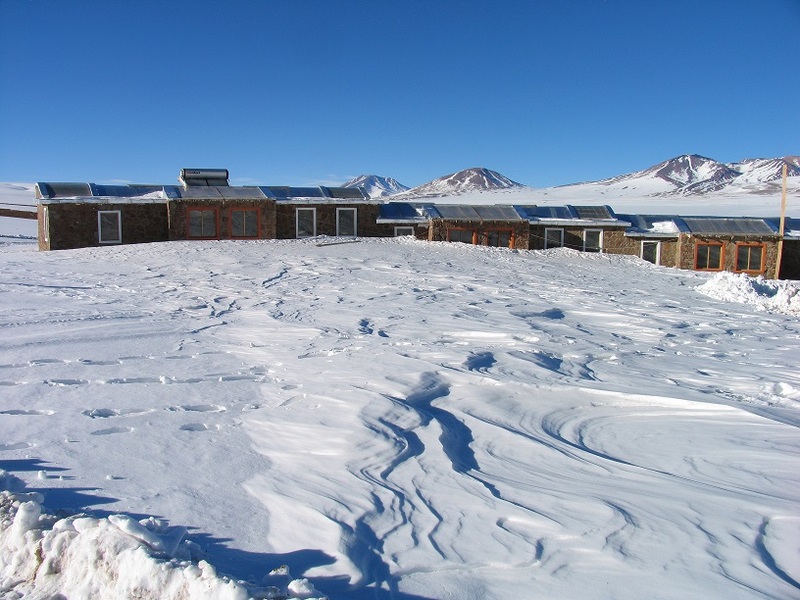 The hotel faces the Salt Flats (Salar de Uyuni) and offers magnificent views. A delicious and complete buffet breakfast is served daily in the hotel restaurant or on the terrace overlooking Isla Pescado and Incahuasi islands. 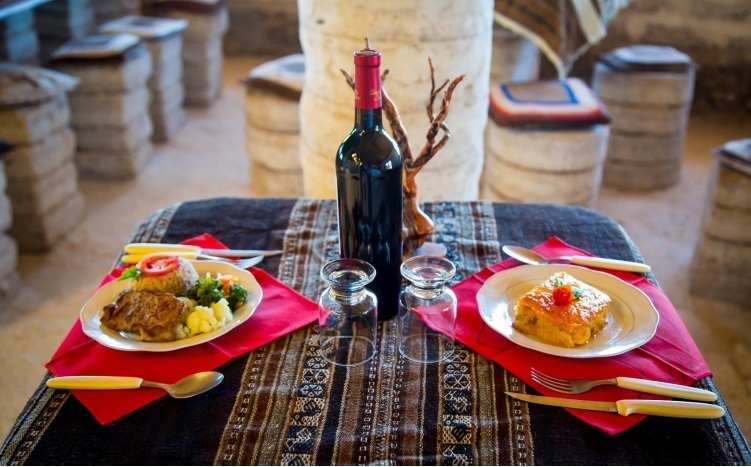 Guests staying at Hotel Tayka de Sal can enjoy international and regional dishes during lunch or dinner at the hotel restaurant which features a fireplace. 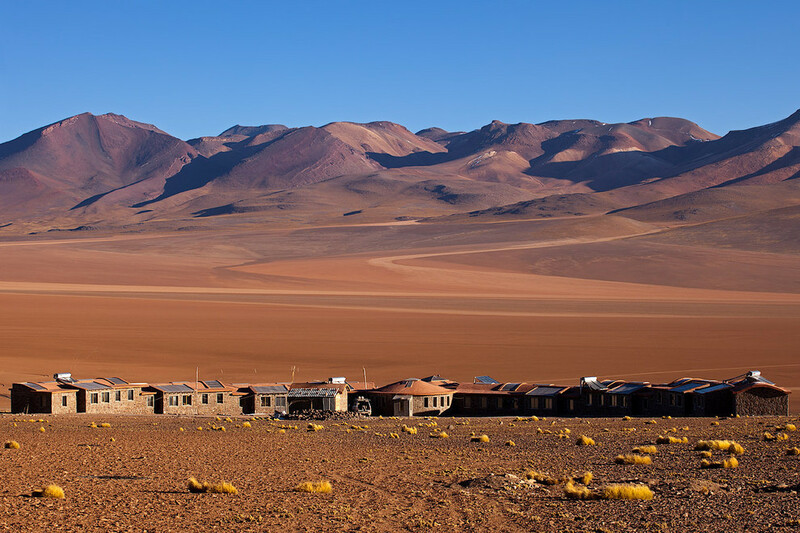 Hotel Tayka del Desierto (Spanish for Tayka Desert hotel) is located in the heart of the Siloli desert. Nestled into a small hillside, the visitor feels literally in the middle of nowhere. The walls has been made out of volcanic rocks. 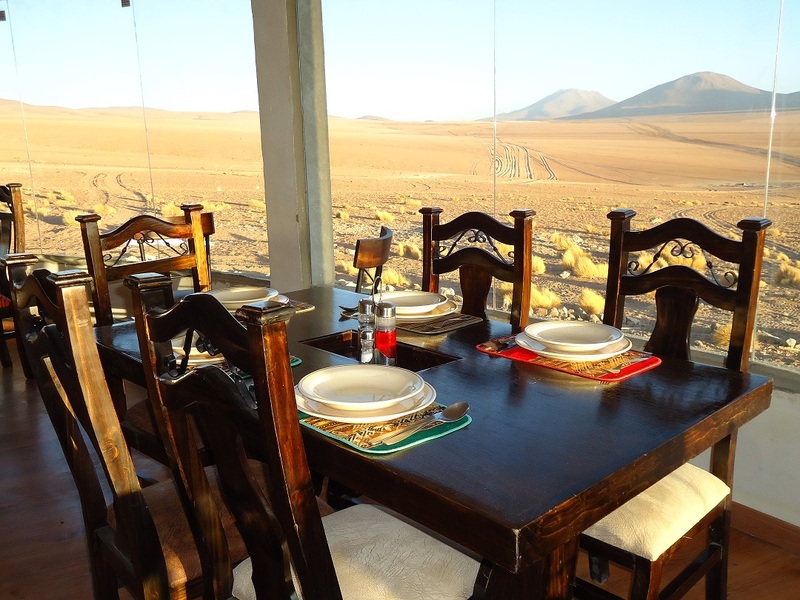 Guests staying at Hotel Tayka del Desierto can enjoy breakfast, lunch or dinner at the hotel restaurant with a view over the Siloli desert. The hotel is warmed meanly by solar energy. 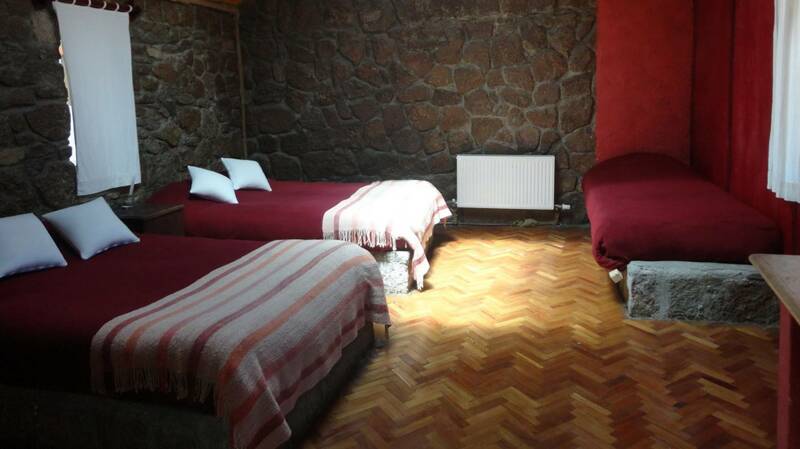 The Tayka hotel of the Rocks is located on the Southern border of the Uyuni Salt Flats, only a few meters away from the ruines of Pueblo Quemado de San Pedro de Quemes and it’s surrounded by majestic mountains. 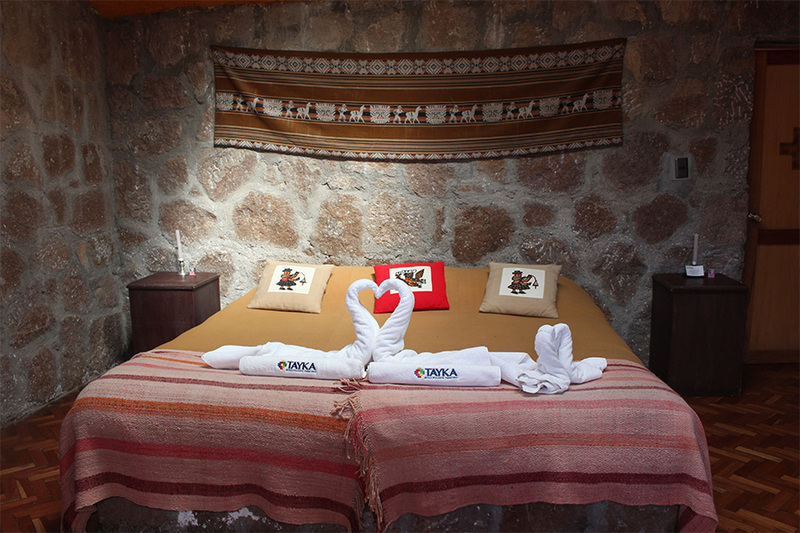 The design of the hotel is inspired by the picturesque environment and based on constructions made out of volcanic rocks, just like the ancient village of San Pedro. 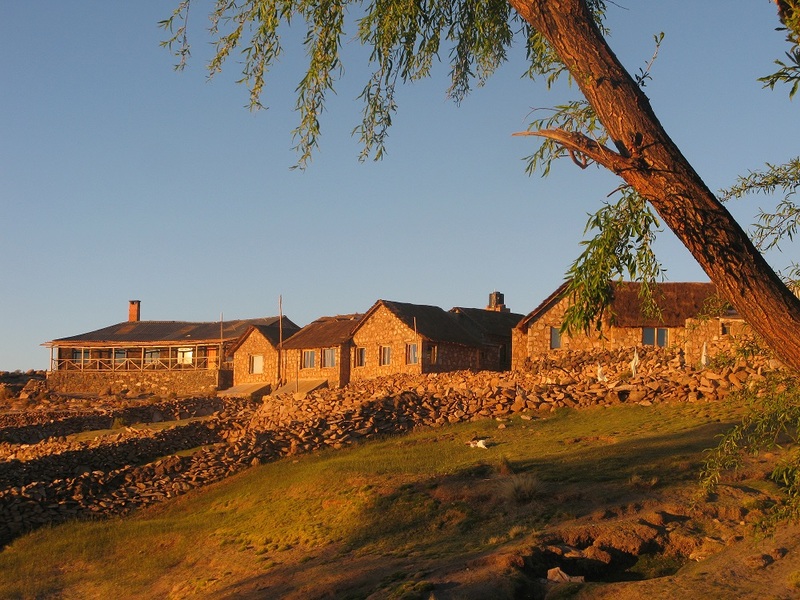 Guests staying at Hotel Tayka de Piedra can enjoy breakfast, lunch or dinner at the hotel restaurant with a view over the Andes highlands. The hotel is warmed mainly by solar energy. 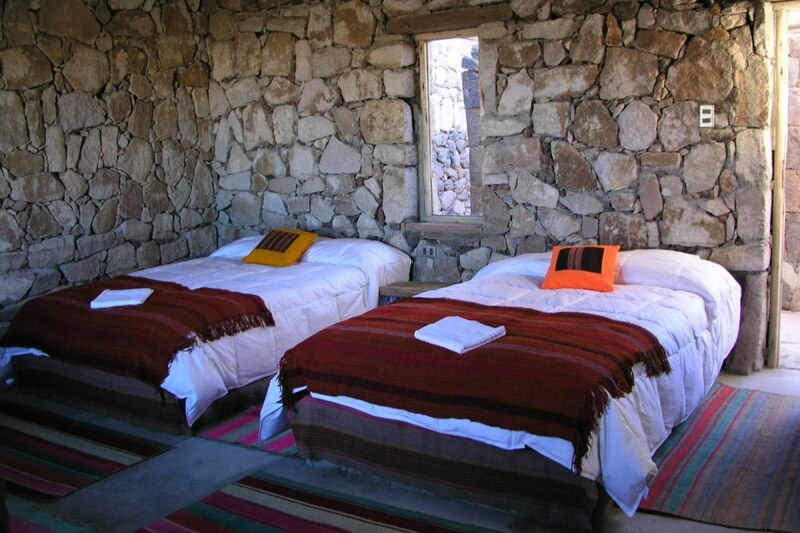 We offer comfortable Uyuni salt flats tours including the Tayka hotels.